The pampered facial includes all of the above steps, plus a 5 minute facial massage! Call us at 513-791-9474 to book an appointment or free consultation. What are the treatment areas? What does it feel like? Facials are relaxing treatments that are performed on your forehead, cheeks, and chin. 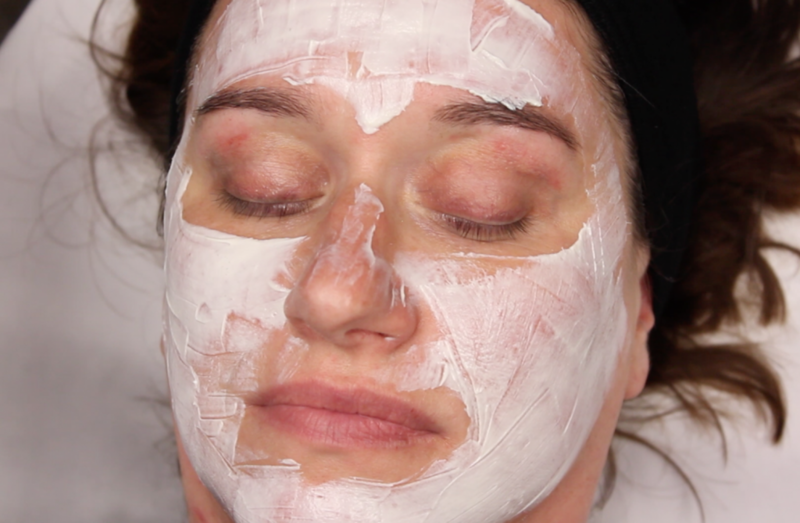 Our basic facial takes about 30 minutes, while our pampered facial takes an hour. Skin loves routine, so our licensed cosmetologist and esthetician will work with you to develop a care plan to keep your skin consistently healthy! Most people can expect a recommendation of one facial a month. Wear SPF 30+ for the first 2 weeks post-treatment (this is a MUST). Use a gentle, non-comedogenic cleanser. Do not use toner for 48 hours. Avoid the steam room for 48 hours. Use sterile makeup applicators and refrain from touching your face after your appointment. You will be able to see a noticeable difference a few days following treatment. For more information, please see the “Facial take home instructions” form in the box to the right. Our licensed cosmetologist and esthetician will work with you to minimize discomfort and/or side effects. Facials are a good option for many people, but our licensed cosmetologist and esthetician will discuss your health and beauty history with you prior to your first session to ensure your goals can be achieved.